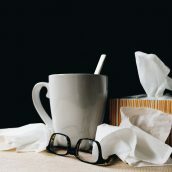 You know that influenza or flu, as it is usually referred to, is quite common these days. But what really causes flu? The answer may surprise you. Like many, you may believe that flu is caused by our growing population and living and working in closer proximity to others. But fear and stress are the main causes. Our media spreads fear, and this compounds our negative belief systems. For example “I always get colds and flu every winter.” The fear increases, as we are constantly bombarded by the questionable belief that we need to get a flu shot. I am 73 years of age and am rarely sick and it has been more than 30 years since I last had flu. At the time, I was also living a very different lifestyle (I was a chicken farmer) and under a great deal of stress. 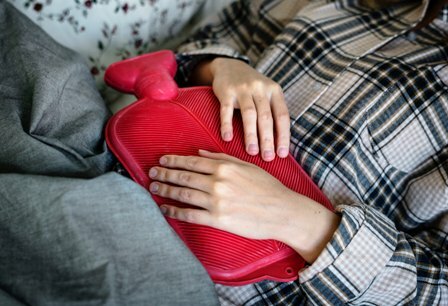 The feelings behind catching flu come from our negative beliefs and past experiences, which may have been triggered consciously or unconsciously. Being weak and helpless in the presence of malevolent forces. Feeling vulnerable at times of great change. Fear of attack from others and of taking in life fully. Being an ‘urban hermit’. Not interacting with others. A great deal of internal conflict, confusion and susceptibility to suggestion. Buried rage and hatred for being alone and alienated. As a therapist, I help my clients return to health and well-being by using the Living Lens, which is a channelled device that brings about rapid transformation. I choose to be/feel I am now beyond group beliefs and the calendar. (This positive affirmation is also good for fear of ageing). I choose to be/feel I am free from all congestion and influence. You could work with these positive affirmations around flu yourself. However, to best avoid future bouts of flu, I would suggest seeking my help and together we can go deeper on why your system is creating this experience. I offer appointments in person at one of my clinics, or via the internet. More details and how to book can be found on my APPOINTMENTS page. CONTACT TONY via his CONTACT FORM or send a private message by visiting Tony’s FACEBOOK PAGE. Due to Tony’s busy schedule, he is not able to receive telephone calls. However, you can also book a free Clarity Call via his Appointments Page. Ready to book your transformational appointment? You can do this from the APPOINTMENTS PAGE. Do You Have A Negative Entity Attachment? Subscribe to Energetic Wisdom newsletters to receive offers and news. We are GDPR compliant. Having experienced Tony's treatments I underwent a days training with him which not only gave me lots of information but also the opportunity to have my own living lens to use. I have found this invaluable in moving the emotional cause for many physical ailments. My husband who is almost 65 years old and type 1 diabetic has noticed remarkable results in his health and well being since using the lens as well. What we like about Tony is that he is always prepared to offer advice and help with any health situation so we have not only gained an expert in his field but a long term friend and support. I have had a few sessions with Tony for a number of health problems, he has helped me so much. He has brought me back to great health without the need to take medication. He truly is a miracle worker and recommend anyone try a session with Tony as they won’t be left disappointed .